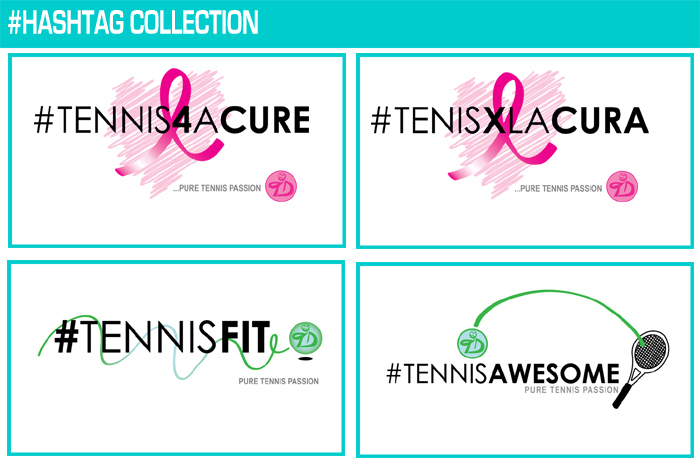 Our #Hashtag collection featuring #Tennis4aCure, #TenisXlaCura, #TennisAwesome & #TennisFit is here! 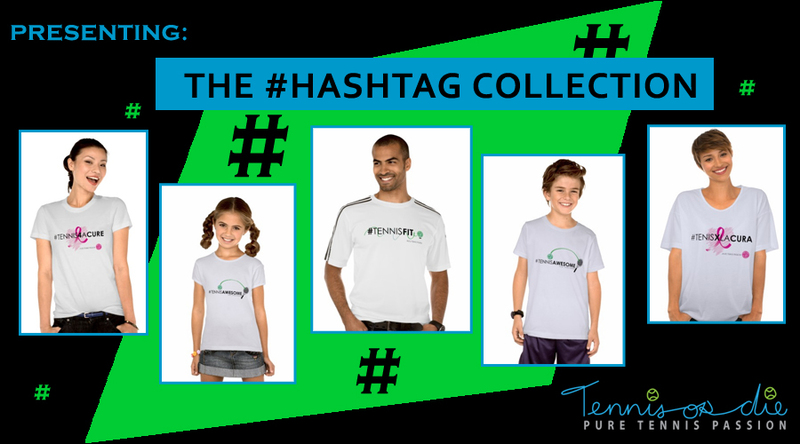 We’ll be promoting this collection via twitter @tennisordieNEWS. So, start using any of these hashtags on your messages and photos, and let us know which one is your favorite with a comment there. For example, @tennisordieNEWS Longest rally ever! #tennisAwesome; or @tennisordieNEWS 6hours of practice today #tennisFit. You got the point, right? You can shop for your favorite design from this collection here. Our design #TenisXlaCura will be benefiting “Latinas Contra Cancer“ a local organization with global outreach which happens to be celebrating their 10th anniversary helping the Hispanic community with issues related to cancer prevention, patient support, research, and community education. Kudos to them! 100% of the sales of this design will go to this amazing organization. The image below is an up close image of our collection. As usual, let us know your thoughts and sign up to our newsletter to receive email updates from us.